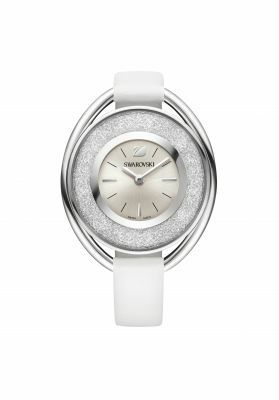 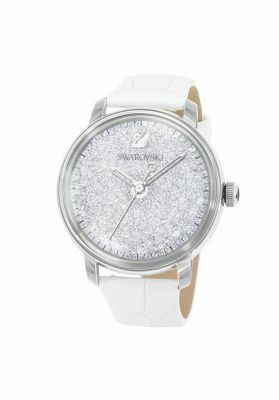 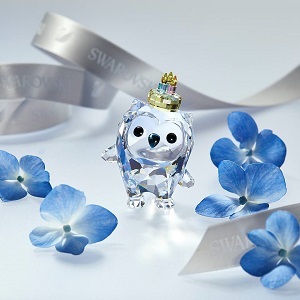 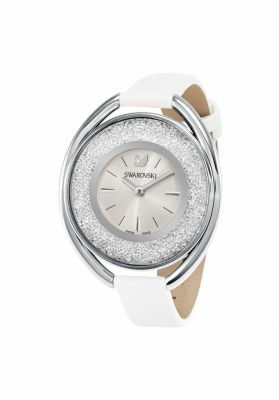 A true showstopper, packed with one-of-a-kind features; Swarovski introduces a modern edition of the Crystalline. 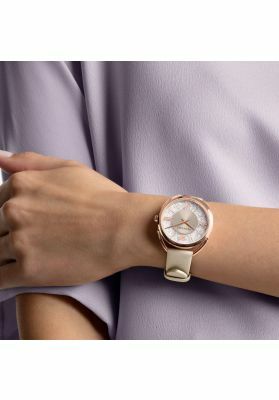 Refined and elegant, the white silver sunray dial is filled with over 800 sparkling clear crystals and housed within a uniquely attached rose gold-tone coated stainless steel case. 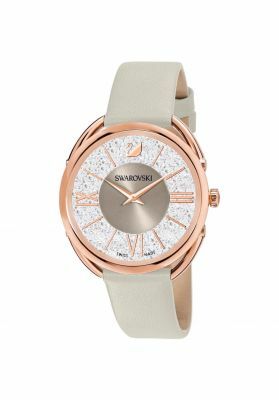 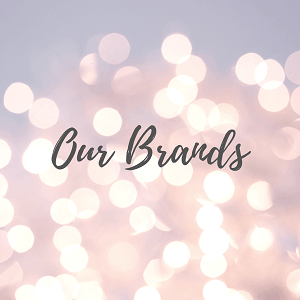 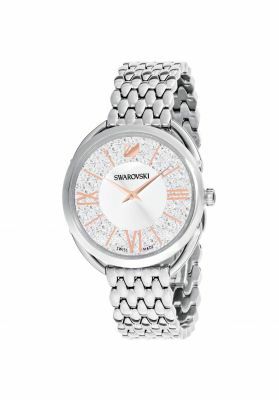 Unequivocally a Swarovski design, it also features applied rose gold-tone coated Roman numeral index markers and a white genuine leather strap. 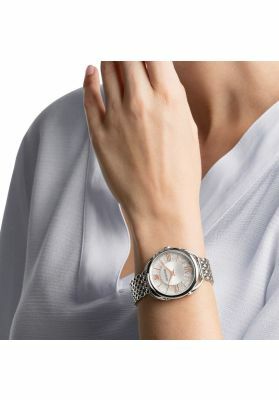 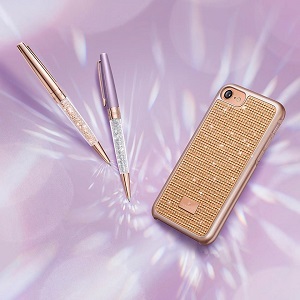 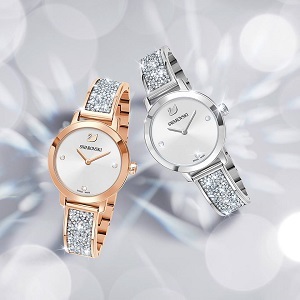 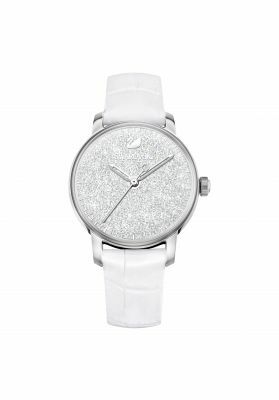 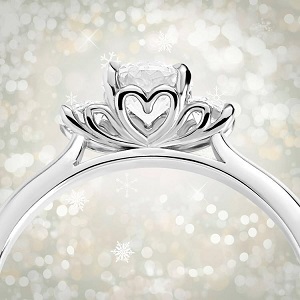 The perfect choice for a stylish woman who wants to add dazzling glamour into her every day.